Scientific researchers have recently identified two circulatory networks in the brain, the vessels that lead into and surround the brain, and those within the brain itself. According to a recent Washington Post article, “The first is known as the lymphatic system for the brain, while the latter is called the glymphatic system.” The lymphatic system is a network of vessels through which lymph (a clear, watery, sometimes slightly yellowish fluid derived from body tissues) drains from the tissues into the blood. The letter “g” which was added to the word “lymphatic,” makes reference to a type of neuron called “glia,” which makes up the lymphatic vessels of the brain. These glymphatic vessels work to transport cerebrospinal fluid and immune cells into the brain and “remove cellular trash from it,” says The Washington Post. In essence, glymphatics is a method of clearing out of the unhealthy protein (called amyloid), which is a hallmark symptom of AD. Surprisingly, this waste removal process (removing waste and wear and tear from the previous day) occurs in the spinal cord during sleep. The glymphatic system is the pathway for the breakdown of waste products such as damaged amyloid proteins. Glymphatic stands for the “glial cells” and “lymphatics” in the brain and spinal cord that functions to clean damaged waste products-which are eventually dumped into the peripheral lymphatic system. During sleep, it is said that 2 times the amyloid beta is removed than during waking hours. In fact, scientists today are saying that this cleaning system may be a primary reason we need to sleep; this may also explain why sleep is such a vital component of Alzheimer’s prevention. A series of mice studies, performed at the University of Rochester, showed that during sleep the fluid around the spine (cerebral spinal fluid) is pumped around the brain to flush out waste products, in a process that has been referred to as a “biological dishwasher.” As the mice slept, the brain cells were found to shrink, leaving ample space for spinal fluid to flow ten times faster than during the waking hours of the mice. Next, the scientists injected traces of amyloid protein into the brains of the mice and observed how quickly the amyloid was removed. This biologic trash removal system was found to function by flushing the brain’s waste products into the glymphatic system, carrying waste through the body via the lymphatic system, into the liver where it is broken down. Scientists found that the amyloid was removed much faster in the brains of sleeping mice. In more recent studies, Maiken Nedergaard, lead study author, and Helene Benveniste, a scientist at Yale University, discovered evidence linking problems in the lymphatic and glymphatic systems to AD. In a study on mice, researchers showed that glymphatic dysfunction contributes to the buildup in the brain of amyloid beta protein. Nedergaard explained that the study shows why sleep is important for all living beings. “I think we have discovered why we sleep,” Nedergaard said. “We sleep to clean our brains.” Nedergaard says that this cleanup process is more active in the body during sleep because it takes too much energy during waking hours. ”You can think of it like having a house party. You can either entertain the guests or clean up the house, but you can’t really do both at the same time,” she said in a statement. 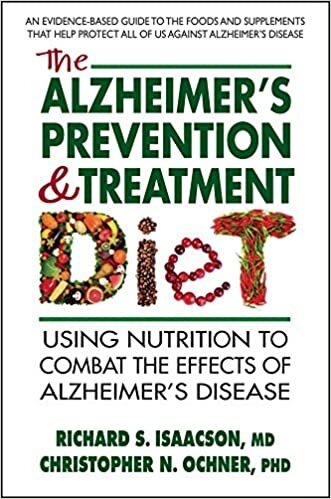 Learn more about the latest Alzheimer’s disease treatment by CLICKING HERE to view the groundbreaking book, The Alzheimer’s Treatment and Prevention Diet book, written by Dr. Richard Isaacson, Harvard trained neurologist.